This is Part Three of our three-part series on the Boston Street Gardens in Stapleton. Click here for Part Two. It was on a cool September day when Heidi Majerik spotted the inspiration for what would eventually become Parkwood’s Boston Street Gardens in Stapleton. The year was 2013 and she was in Louisville with some friends from college. They were mostly there to tour distilleries to get a taste of Kentucky’s world-famous bourbon whiskies, but she always made it a point to explore interesting neighborhoods and architecture wherever she went. A few weeks later, Majerik, who at the time was working for Stapleton developer Forest City, was meeting with Parkwood founder Steve Wilcox and president Jack Fleury when she brought up her recent trip, knowing their shared passion for charming and historic neighborhoods, and showed him some of the pictures she took. “And so, I start going through the pictures on my phone and Steve looks at them and was like, ‘Hey, Heidi, I have to show you something,’ and he had photographed the exact same place on his phone when he was there a few weeks before me!” Majerik says. Wilcox and Fleury had been in Louisville visiting a new development Parkwood was invited to build in on the northeast side of town. Like Majerik, they also try to walk through a few neighborhoods whenever they travel. "We asked a former Duany employee who was serving as their Town Architect for a list of places we should check out in Old Louisville," Wilcox said. "He recommended the Cherokee Park neighborhood which surrounded a park designed by Frederick Law Olmstead, Cherokee Triangle." The neighborhood they’d both visited was Old Louisville, a bit of a misnomer given most of its development occurred in the late 1800’s, nearly a century after what is now Downtown Louisville was first settled. Of course, if you visit Downtown Louisville and Old Louisville today, there’s no question which of the two feels older. The design and feel of Old Louisville is itself a reflection of when it was built. It was during the mid- to late-1800s when American romanticism was in full force and, following the population and development booms experienced by cities around the country, Andrew Jackson Downing, the founder of American landscape architecture, proposed the idea of designing public parks within cities, where its urban inhabitants could find temporary refuge from the chaos of its crowds and ever-present noise. Enter Frederick Law Olmsted, the father of American landscape architecture. 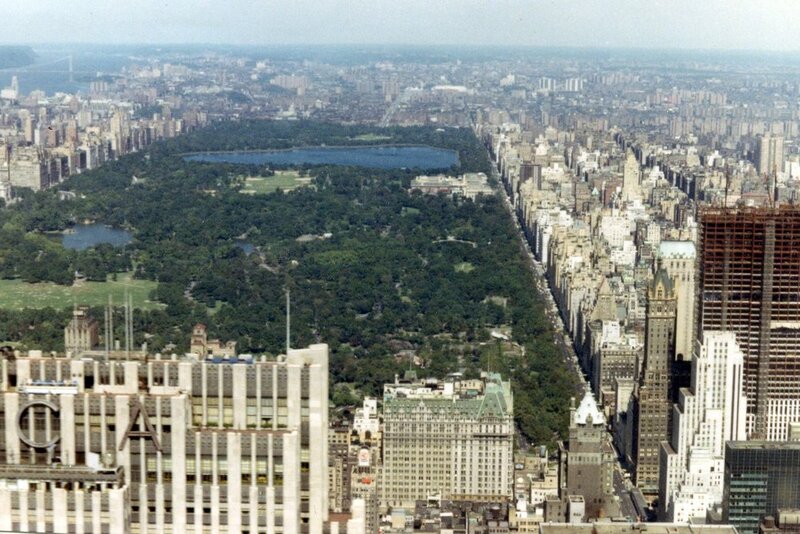 Answering Downing’s call, father and founder worked together to design the mother of all city parks, New York City’s Central Park. Yet, it wasn’t his grand, standalone projects like Central Park or the U.S. Capitol Grounds that would be Olmsted’s greatest contribution to urban design. Thinking bigger than single standalone parks, Olmsted conceptualized the idea of a system of parks and parkways, interconnected by picturesque tree-lined paths. In 1891, in the waning years of his career, Olmsted, with the help of his sons, designed the last of four completed Olmsted parkways in the world in what is now Old Louisville. As the city grew, its leaders looked to Olmsted and sons for continual guidance on designing the city’s gardens, institutional and religious grounds, cemeteries, and, yes, residential neighborhoods. It was one of these neighborhoods where Heidi Majerik and Steve Wilcox both happened to visit, weeks apart. The area they were in didn’t have a street for cars. They were walking courts, with houses face-to-face separated by a greenway. Belgravia Court and Fountain Court are the two best known. Both were built in 1891, the same year Olmsted was commissioned to design his park system. Old Louisville is full of these walking courts. These hidden pathways flanked by grand Victorian-styled homes, shaded by trees during the day and lit by flickering gas lamps at night, led the city’s residents down endless walking paths and parks spread out across the city. A century later, tourists and residents still visit historic neighborhoods like this, where sustainable, livable urban design meets timeless architecture to create a true sense of place. Today, an area like Old Louisville could never be built. In fact, most historic neighborhoods are in violation of countless building and design codes which make them hard to renovate and impossible to replicate. Originally Louisville Lane, named after the Kentucky neighborhood, Boston Street Gardens was no different. When I first moved to Denver in August of 2016, Parkwood had only just started construction on the Boston Street Gardens, and there weren’t any gardens to speak of. "This is what it's gonna look like," Logan, VP of marketing, said, handing me a black and white rendering. It was a cute, idyllic little street, complete with waving neighbors and children pulling each other around in a wagon. I knew it was supposed to be a unique development but seeing it in person then, I wasn’t sure why. It was a large patch of dirt with three or four half-built homes and an unusually narrow street running up the middle of it. I was skeptical. But unbeknownst to me the hardest battle had already been won: we had a narrow street. Now, I’ve got nothing against wide streets. I love wide streets, but only because they help me get from Point A to Point B faster. It’s not because they make Point A or Point B a nicer place to walk, shop, hang out, play or be in. Instead, wide streets tend to encourage speedier driving and scares away pedestrians. Think of all the signs you’ve seen reminding drivers that there are “Children at Play” or to “Drive like your kids live here.” Notice you rarely see such warnings in historic neighborhoods with narrower streets. 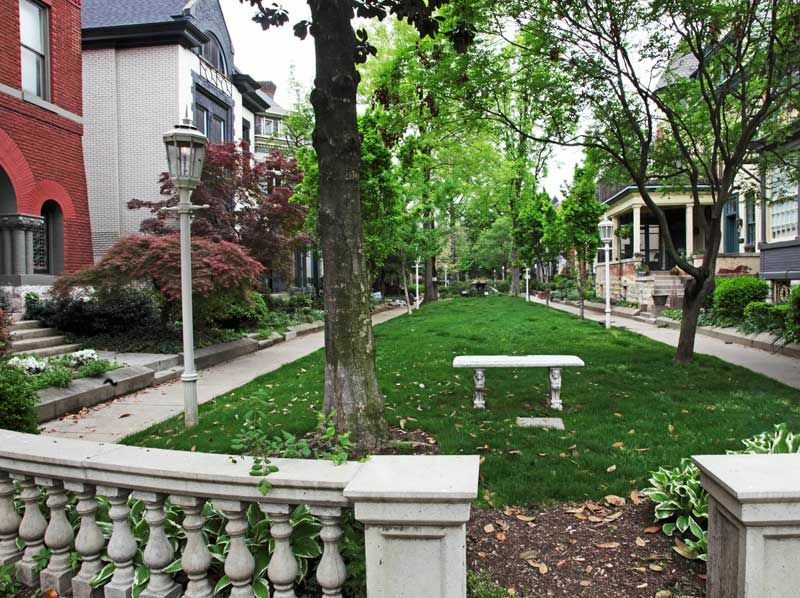 Boston Street Gardens, designed with the help of renowned urban planning firm Calthorpe Associates, is organized like so: home, sidewalk, landscaped path with trees and a bocce ball court, narrow street, sidewalk, home. The landscaped path was almost double the width of a standard tree lawn. With trees, benches, and even a bocce ball court, people have a place to hang out and play. For people walking along the sidewalk, having that extra buffer space brings a sense of security in case any cars drive by. The landscaped path wasn’t an issue for the city. The problem was the narrow street. Street width sounds like a minor detail but plans that deviate from the norm are highly scrutinized and routinely rejected. Denver mandates a minimum of 20 feet; Boston Street Gardens’ is 10 feet. The plans would need a lot of creative problem solving to secure special approval from Denver’s Department of Public Works and the Denver Fire Department. From finishing the design to Forest City finally getting the entitlements to simply begin building the infrastructure took 9 months! 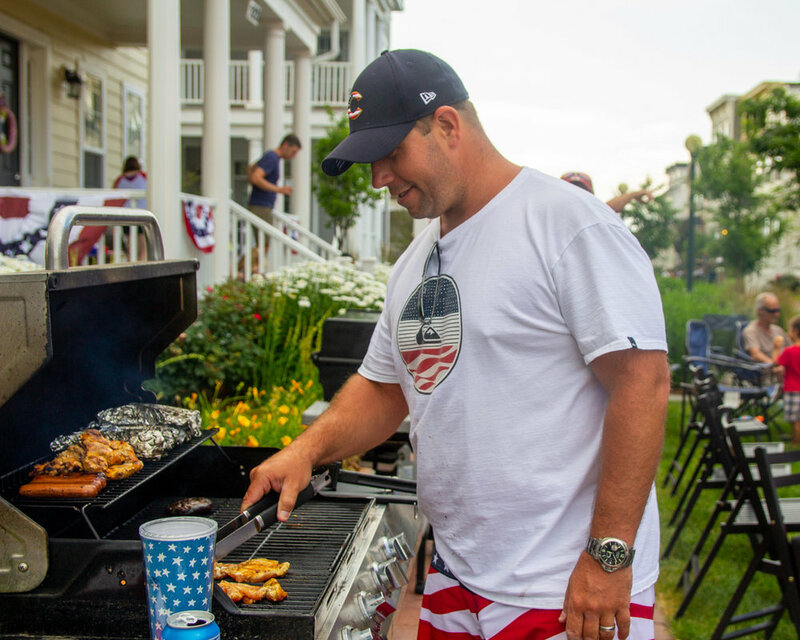 It took a developer and homebuilder who were willing to try something outside of the norm, a planning director that understood the vision and fought for it, and other city officials who were willing to sign off on it. Most importantly, it took homeowners who were willing to buy into and be a part of that vision. Very serendipitous. 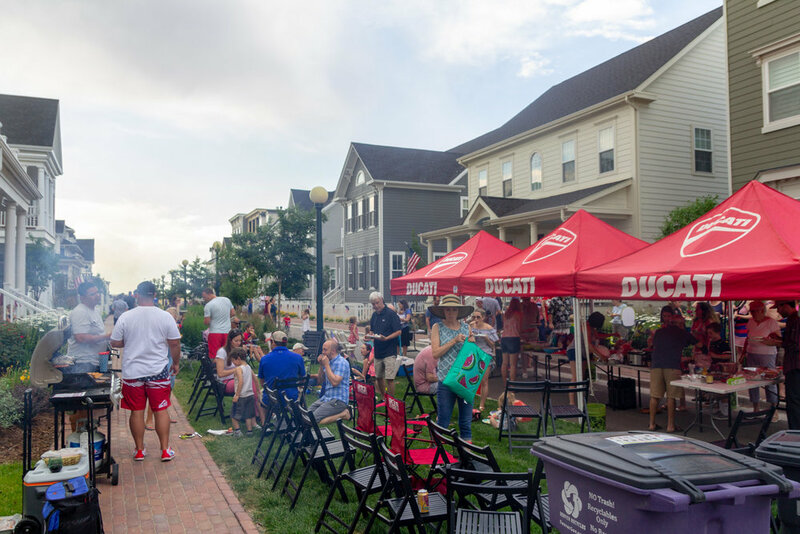 By the time the City of Denver approved the plans and Forest City finished the infrastructure, a year and a half had passed since Majerik’s and Wilcox’s trips to Old Louisville. Other than a black and white rendering and a spectacular scaled model of the block made by the precocious 14-year-old family friend of a Parkwood employee, our team didn’t have much to show prospective buyers except a large patch of dirt with an unusually narrow street. Building a unique place like Boston Street Gardens is more than a labor of love, but a product of considerable luck and cooperation. For everyone involved, whether it be builders, developers, city officials, or homeowners, it can be tempting to fall back onto what’s conventional, routine, and typical, not least because it often saves everyone time and money. In the long run, however, it leads to large communities that are bland, repetitive and uninspired, and residents who don’t know or interact with their neighbors and aren’t given any opportunities to. Instead, the families on Boston Street Gardens know each other. They organize barbecues and block parties. They play softball together. When their kids are outside playing, they don’t have to worry. When they need to borrow something, they ask. From inspiration to reality, it’s been exciting to be a part of building that sense of community and we’re proud of how it turned out, as you can probably tell from the fact that we wrote a three-part blog series on it.